We’re still eating healthily and (touch wood) it seems to be working well for me with no infection since January. Part of that is our meat intake is now tiny in comparison to before our change in diet but every now and then I see a recipe to try and we do enjoy it. I’m also trying to empty our chest freezer in the garage as I’d like to get rid of it and coming across some random items – bought obviously to follow another recipe then left undisturbed in the depths of the freezer. The lovely Mr W told me there was broccoli in there but on further inspection it was a huge bag of spinach – some used yesterday but plenty still left I came across this recipe in the October Delicious magazine. So just for the two of us I halved the recipe and we both enjoyed it – my hint is make sure you read through any recipe at least twice – I added my onion to my meatballs then wondered why it said add the onion later! So my meatballs had onion and I added more onion to my sauce! 1. 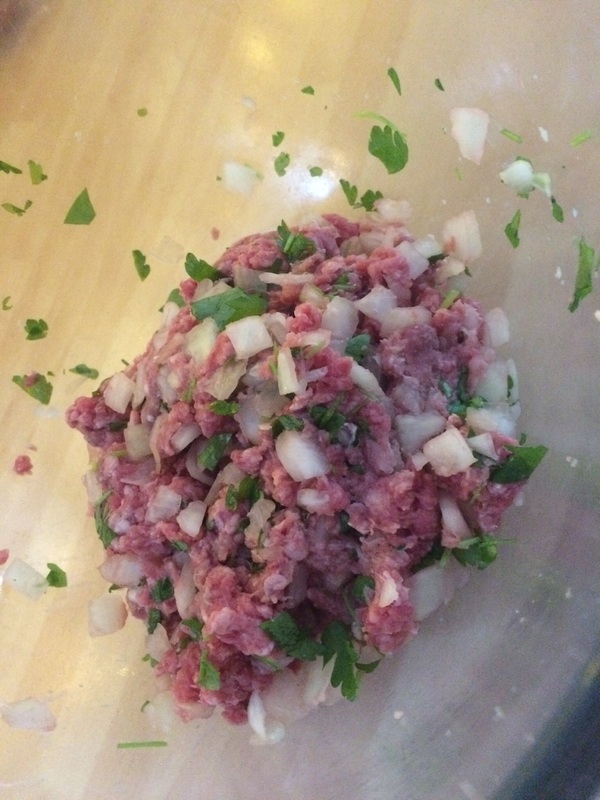 Mix the garlic, half of the onion (finely chopped) and chopped parsley with the mince. Season then shape into 10 small meatballs. 2. Fry the meatballs in a tablespoon of oil until brown all over. Remove and set aside. 3. Add a little more oil to the pan and gently fry the rest of the onion for a few minutes before adding the smoked paprika and cooking for 2-3 minutes. 4. Add the chopped tomatoes and spinach to the pan and cook for a few minutes, season and taste before returning the meatballs to the pan. If too thick add a little water from a hot kettle. 5. 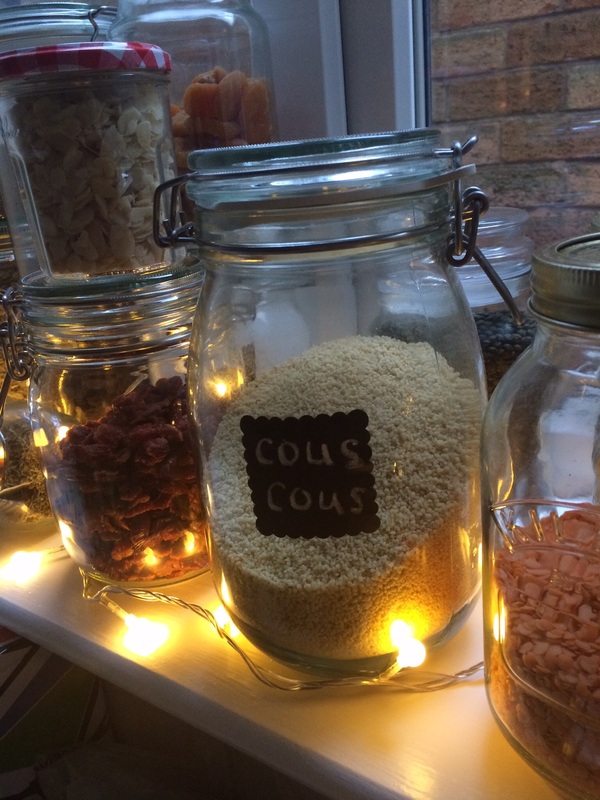 While this simmers away gently put the couscous in a heatproof bowl, boil the kettle and pour over 225 ml boiling water. Add a handful of chopped herbs and cover with cling film and leave for five minutes. 6. 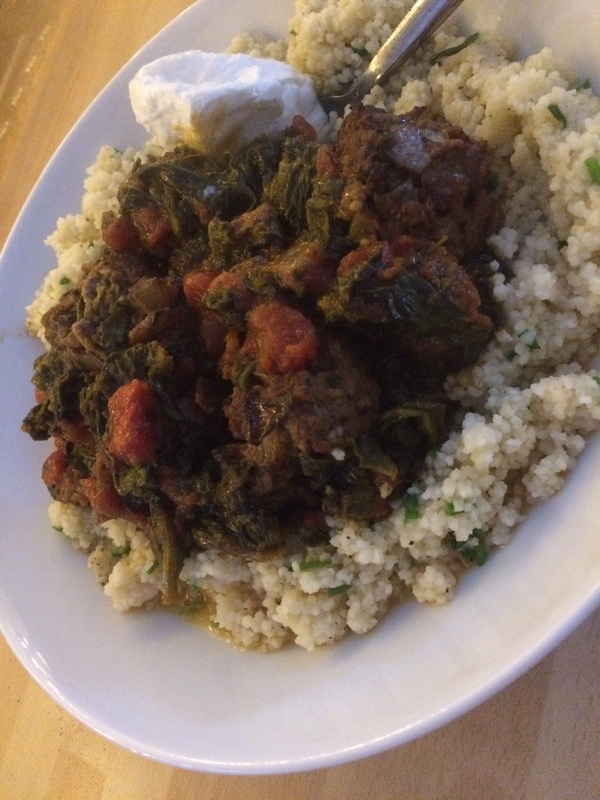 Fluff the couscous and serve with the meatballs and sauce.